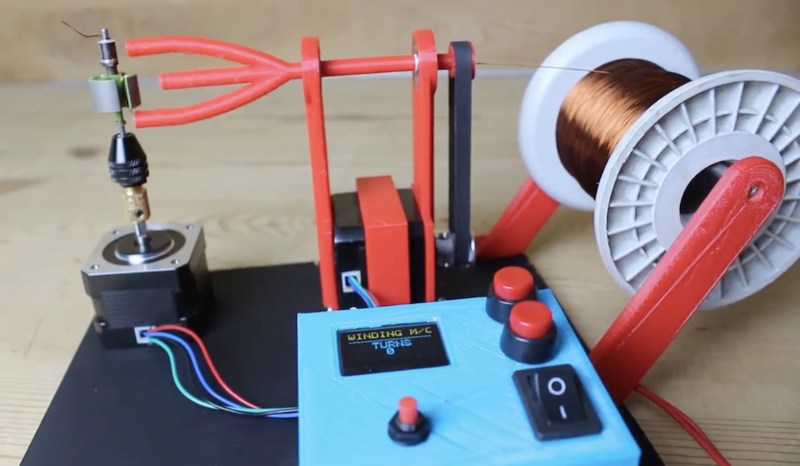 When you want to make a mobile robot, DC motors can be a great choice. We normally accept that they can be purchased for a few dollars each, but what if you want to make your own? In order to assist with the winding process for a self-built—or at least self-wound—motor, Mr. Innovative created an… innovative fixture with two stepper motors and an Arduino Nano for control. 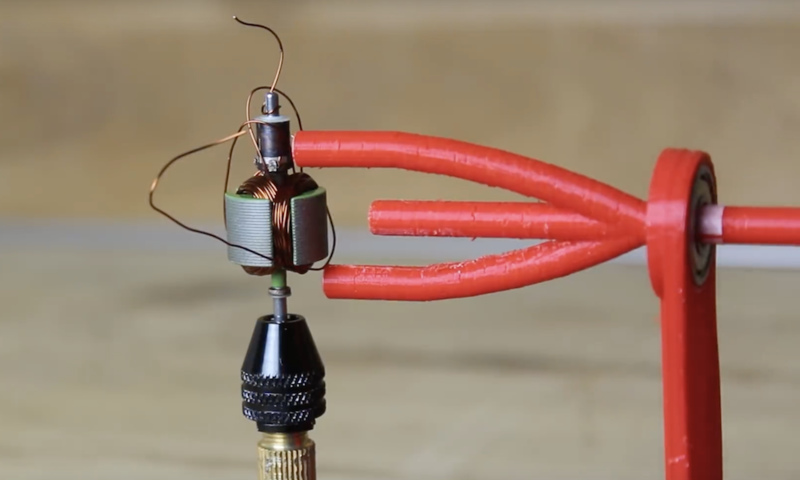 The bare motor armature is held in a vertical orientation by one stepper, while the other winds wire using a hollow 3D-printed feeder mechanism. User interface consists of an OLED screen and buttons that let you select the number of windings and another to advance the armature to the next coil location. Arduino code and electrical drawings can be found here, and 3D-printed parts are available on Thingiverse. Hi thanks 4 such a good project. I love it but could not upload the code on Arduino nano. Sorry me again. also I could not find such a SSD1306AsciiWire.h file and or library is it my problem? and I am at first step yet (I mean didn’t montage all the project) just want to upload the sketch at 1st and test it. hello congratulations very nice project. would you please share the arduino code again, I think the link is corrupted.Thank you.